Russia’s only low-cost carrier Pobeda Airlines has announced plans to more than triple the number of operations to regional airports in the 2018 summer season. Pobeda, a sister company of the country’s flag carrier Aeroflot, is planning to perform a total of 1,294 regional flights between March 25 and October 27, against 414 for the same period last year. Most of the new aircraft movements should be due to the carrier’s route network expansion plans from St. Petersburg’s Pulkovo. The airline has reserved at least 15 routes from the airport, against just seven last year. 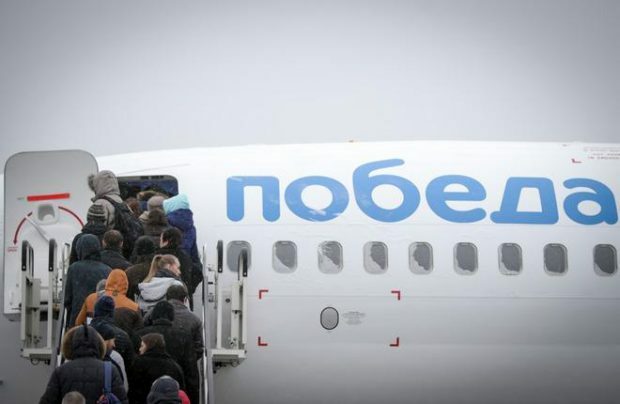 Vedomosti daily reports that the share of Pobeda’s flights to and from Moscow is expected to grow from the current 19% of all movements to 24% by the end of the year, whereas Pulkkovo should welcome and see off the operator’s airliners 2.8 times more often. The number of destinations served would reach 80, up 38% year-on-year. From Moscow’s Vnukovo alone, Pobeda expects to serve 44 destinations (up 42%). The network expansion effort will be met by new additions to the carrier’s all-Boeing 737-800 fleet, which is to reach 20 airframes by summer. The airline operated 12 aircraft last summer, and added four more of the type by year-end. Pobeda carried 4.6 million passengers in 2017, up 6.9% year-on-year. Its seat load factor stood at 94.2% (up 5.9 p.p.). The growth rate slowed significantly from 38.7% in 2016.